Presenting the all-new Buick Regal Sportback luxury sedan, the new look of spirited performance. Luxury you not only crave, but deserve. 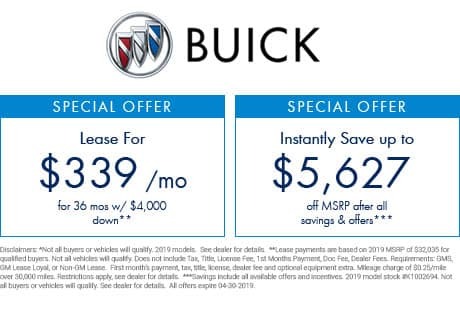 Prepare to be blown away by the all-new Buick Regal Sportback, the luxury sedan featuring more versatility than ever before. With the innovative Sportback opening, you’ll enjoy easy access to a wide, deep trunk space, offering up to 60. 7 cubic feet of storage space with the rear seats folded down. And all that extra room doesn’t mean you have to sacrifice style, as the Sportback door blends seamlessly into the Regal’s coupe frame. Whether you’re commuting to Midland or hauling a large purchase home from Bay City, the Regal Sportback offers more space than you thought possible. Slip inside and you’ll discover that the inside of the Sportback is just as impressive as the outside. 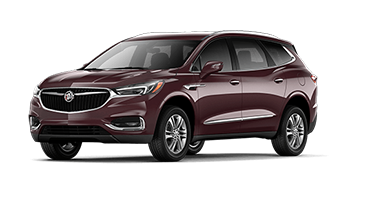 Luxurious little details such as leather seats and chrome accents surround you, while the 8” Buick Infotainment system keeps you connected, no matter how far you drive. You don’t have to just take our word for it though. 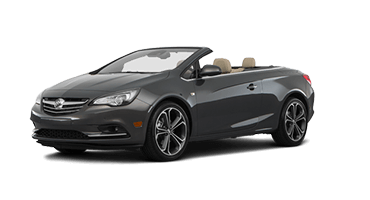 Stop in to Garber Buick in Saginaw today to take the all-new Buick Regal Sportback for a test drive. 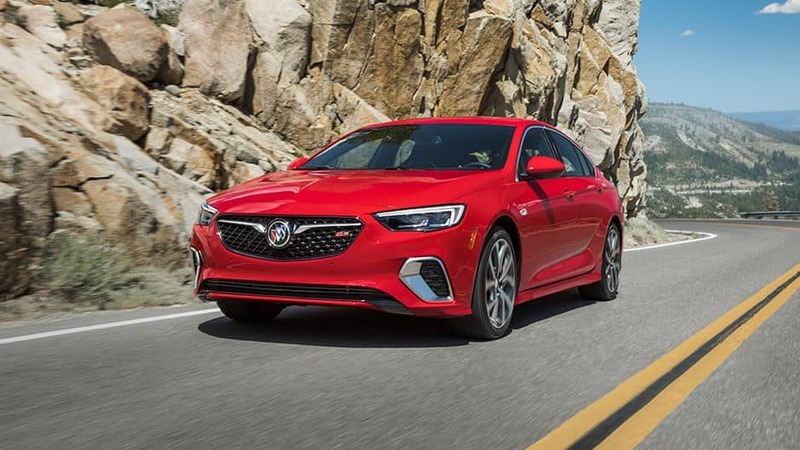 The all-new Buick Regal Sportback is here, and it’s taking the roads by storm. 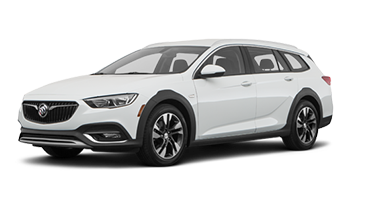 Featuring a redesigned exterior, updated grille, and innovative Sportback opening, the new Regal Sportback lives up to the luxury you expect with a name as timeless as Buick. Seamlessly integrated into the Regal’s coupe-like profile, the new Sportback opening takes you by surprise. Enjoy easy access to a wide open space without having to sacrifice the sleek sedan style you love. The all-new Regal Sportback grabs your attention as soon as it appears on the scene. A wide stance is met with sleek, contemporary curves, while in the front a completely redesigned waterfall grille heralds your arrival. Enjoy bright light in even the darkest of situations with the new Regal Sportback’s LED headlamps, featuring a winged style that casts light further and are beautifully incorporated into the façade. During the day, you’ll have LED daytime running lamps to ensure that no matter where you go, you’re clearly visible to everyone. Choose from the new Buick Regal Sportback’s wide selection of wheel options to truly leave a lasting impact. 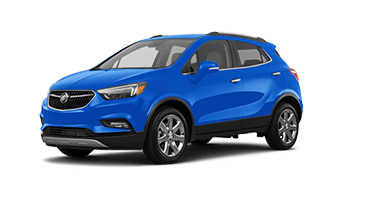 Whether you opt for the 18” machine-faced aluminum wheels or the stunning 19” aluminum wheels with Technical Gray accents, you know you’re putting your best foot forward. Take advantage of the Regal Sportback’s power moonroof to let in some fresh air without ruining your hair, or even just to soak up some vitamin D. If it gets a little too bright, there’s the convenient sunshade to keep the sun out of your eyes. Now this is luxury. The all-new Buick Regal Sportback features heated side-view mirrors, chasing away frost and fog on cold mornings so you can enjoy clear visibility from all sides. Take a seat in the all-new Buick Regal Sportback and let opulence surround you. Bask in the Regal Sportback’s plethora of luxurious features, such as leather-appointed seats, premium stitching, and QuietTuning™ technology. And don’t forget the 60.7 cubic feet of available storage space, more than you would expect from this sporty sedan. Bring more along for the ride thanks to the all-new Regal Sportback’s unique Sportback opening. Lower the rear seats and unlock an unprecedented 60.7 cubic feet of cargo space, so you don’t need to worry about leaving anything behind. With the all-new Buick Regal Sportback, you’ll still enjoy all the luxury you expect with a Regal, just wrapped in a sportier package. Inside you’ll discover premium French seam stitching with leather appointed seats, chrome detailing, and luxurious wood tones, creating a riding experience you’ll love. Don’t worry about outside noises distracting you while you drive, thanks to the Regal Sportback’s QuietTuning technology. Utilizing triple door seals, acoustic laminated glass, and specific suspension tuning, the Sportback creates a nice, easy-listening environment. Thanks to dual-zone climate control, you and your passenger can agree to disagree when it comes to the climate of the all-new Regal Sportback. This system allows you and your passenger to maintain separate temperatures for your individual areas, so everyone can be happy and ride comfortably. Keep your eyes facing forward without missing a beat thanks to the Regal Sportback’s Head-Up Display. This available system projects important data such as speed, navigation, or entertainment information right on the windshield, so you never have to look away for even a moment. With a ride as fun and innovative as the all-new Buick Regal Sportback, you expect the technology to be just as advanced as everything else. 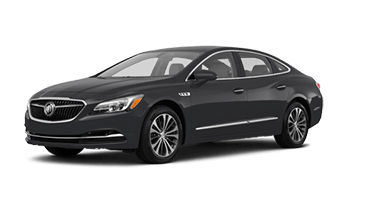 The Regal Sportback doesn’t disappoint, offering top-of-the-line amenities such as 4G LTE Wi-Fi®, Buick Infotainment System, and Bose® Premium Audio. Sit back and enjoy the ride. 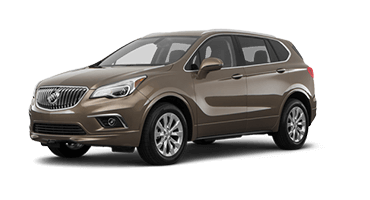 With the innovative Buick Infotainment System at your disposal, every ride becomes a fun-filled adventure. Sync your mobile device via Apple CarPlay™ or Android Auto™ and enjoy your favorite apps right on the 8” touchscreen. Get lost in a sea of crisp, clear sound courtesy of the Bose Premium 8-Speaker sound system. Crafted by the masters of sound engineering, the speakers are strategically placed throughout the Regal Sportback’s cabin to guarantee concert-quality audio from every angle. Stay connected wherever the road takes you courtesy of the new Regal Sportback’s 4G LTE Wi-Fi hotspot. Connect up to 7 devices and never worry about missing a thing again. With an interior as beautiful as the Regal Sportback’s, you wouldn’t want to detract from it with cords all over the place. Luckily, you won’t have to, thanks to the Regal Sportback’s wireless charging pad. Simply place your compatible device inside and it will charge it using induction technology. Unlock the full potential of the all-new Regal Sportback with the innovative myBuick app. 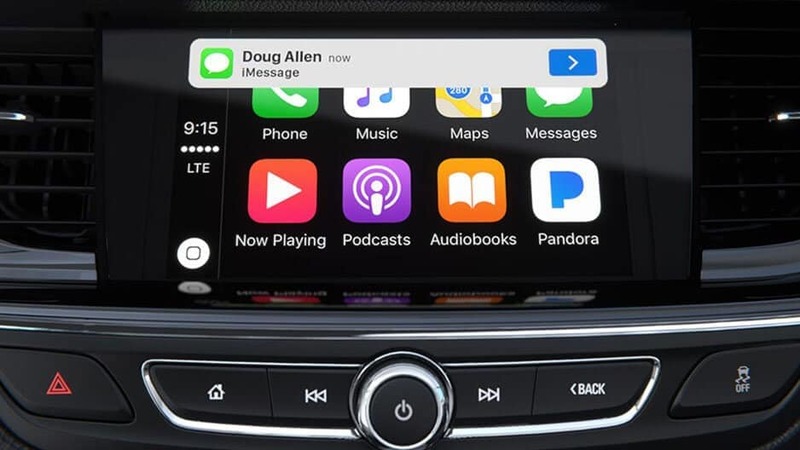 View key vehicle information such as health, where you parked, and even remote start your Regal Sportback, all from the palm of your hand. While there is no substitute for an alert driver, the all-new Buick Regal Sportback is well-equipped with safety technologies that heighten awareness and quicken reaction times. With an array of features such as the Rear Vision Camera and Lane Change Alert, the Sportback is prepared in the event of the unexpected. This available safety feature is your extra set of eyes on the road, monitoring the vehicle in front of you and warning you with visible as well as audio cues if a collision is imminent. With the addition of Forward Automatic Braking, the system will also begin applying brake pressure to lessen collision damage, or even avoid it all together at low speeds. The all-new Regal Sportback makes reversing a breeze with its Rear Vision Camera. Simply shift into reverse and the 8” touchscreen will display a live feed of the area directly behind you, complete with dynamic guidelines to ensure you don’t bump into anything. Reverse out of any tight parking spot with ease thanks to Rear Cross Traffic Alert. 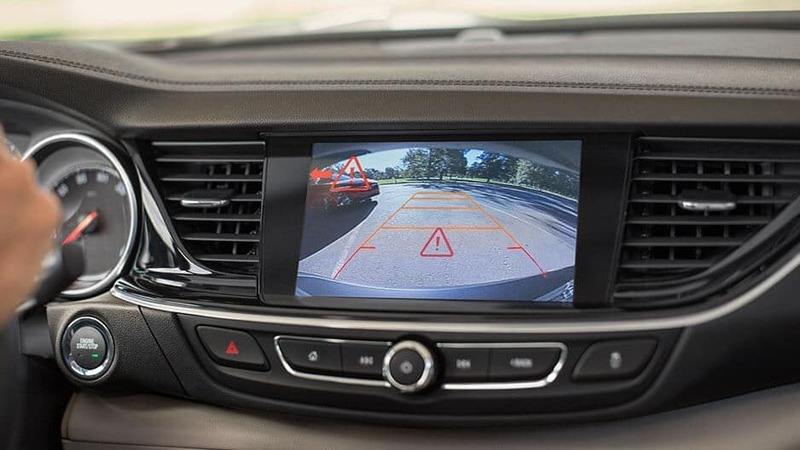 Utilizing ultrasonic technology, the Regal Sportback detects when vehicles are approaching behind you that you may not otherwise see, warning you on the Rear Vision Camera. Stay safe as you’re maneuvering through rush hour traffic courtesy of Lane Change Alert with Side Blind Zone Alert. This available system detects when there is a vehicle approaching from behind, and will warn you if they’re in your blind spot with an indicator on the side view mirror. While we know that you do everything you can to keep you and your passengers safe, sometimes the unthinkable still occurs. If it does, you can rely on OnStar Automatic Crash Response to be there. Within moments of a detected collision, an OnStar agent will contact you to ensure you’re okay, and will notify emergency personnel if you’re unresponsive. Looks are important, but so is the performance power hiding under the hood. 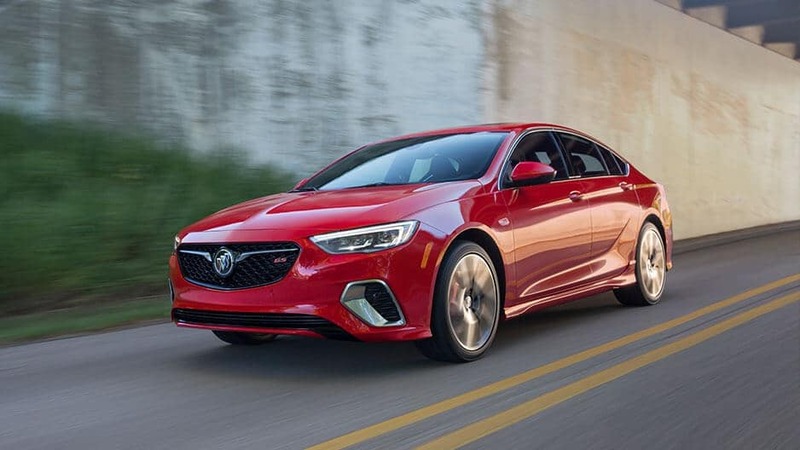 The all-new Buick Regal Sportback ups its game in a big way, offering two engine choices as well as intelligent All-Wheel Drive, guaranteeing you all the power and control you want. Keep all the sportiness you want without having to sacrifice any efficiency thanks to the Regal Sportback’s 2.0L Turbocharged Engine. Delivering an impressive 250 horsepower, you’ll achieve up to 32 MPG on the highway in this athletic trendsetter. Enjoy the thrill of the all-new Regal Sportback as you race through the city with the Sportback’s 3.6L V6 engine, promising up to 310 horsepower and 282 lbs. of torque so you can truly get your adrenaline pumping. Give yourself peace of mind in slick road conditions with the Regal Sportback’s Intelligent All-Wheel Drive with Active Twin Clutch. This available system adjusts torque to a wheel that is slipping or around tight corners, ensuring that you remain in control and on your intended course. The all-new Regal Sportback kicks your handling up to the next level with the 5-Link Rear Suspension system, which works with the AWD to provide you with precise handling while maintaining a smooth ride. Put the “sport” in “Sportback” with the innovative 4-wheel antilock disc Brembo performance brakes. These brakes were crafted for high speed, delivering quick stopping power that helps reduce wheel lockup while maintaining steering control on most slippery surfaces. When you roll up in the all-new Buick Regal Sportback, you’re guaranteed to become the center of attention. The stunning silhouette is complimented by an updated grille, while the innovative Sportback rear access door blends seamlessly into the frame. You’re going to want to do a double and even triple take when this luxury sedan cruises by. The Regal Sportback isn’t satisfied with just being aesthetically pleasing though; it also offers incredible performance power and precision handling. With a 3.6L V6 engine kicking out 310 horsepower, as well as Intelligent All-Wheel Drive, the Regal Sportback is ready to take on any adventure. 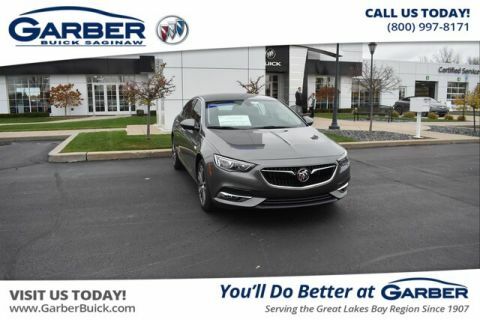 Experience the all-new Buick Regal Sportback for yourself, with a test drive at Garber Buick in Saginaw today!